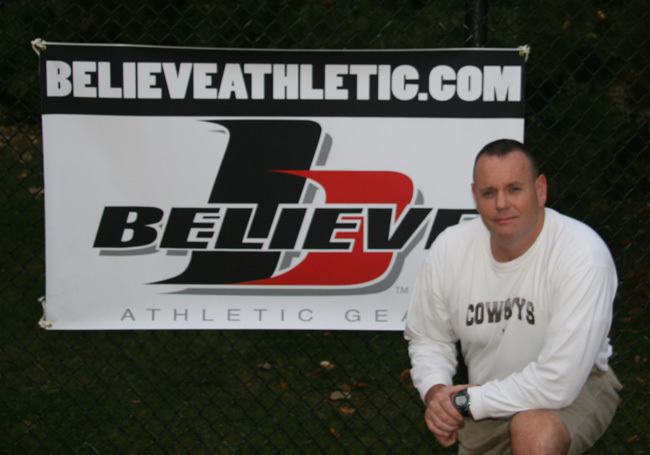 The idea and concept for BELIEVE ATHLETIC was developed by a roommate/teammate and myself at the University of Wyoming. We were both senior offensive linemen for the University of Wyoming football team. We made and sold shirts for different events on campus. We decided to do something that was significant and would have an impact. After being members of state championship football teams on the high school level, making 2 bowl appearances and winning a conference championship on the collegiate level we reflected on our careers and the keys to success. We determined there were a few constants and one key ingredient on all our teams. Success came through hard work, discipline, organization, dedication, making sacrifices and the ability to BELIEVE in individual and team success. BELIEVE ATHLETIC was born. BELIEVE ATHLETIC is for every athlete, on all levels of competition. If you are attempting to get in shape, lose weight, make a team, become a starter, compete and win championships adopt the BELIEVE philosophy. It all starts from within.